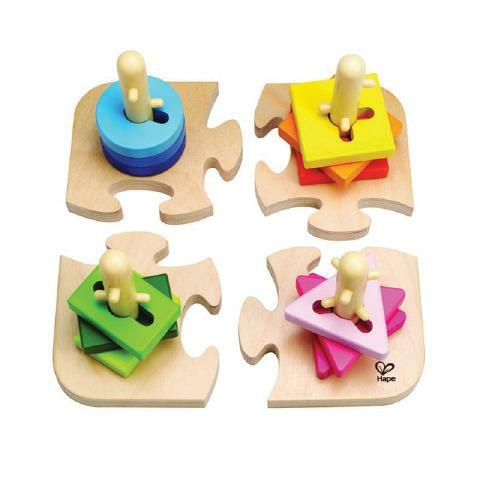 Start by joining the puzzle bases together and then twist the shapes on the appropriate post. Children can make up their own way to play this stacking and sorting activity that triples as a puzzle too. Dimensions: L: 8" x W: 8" x H: 4.5"